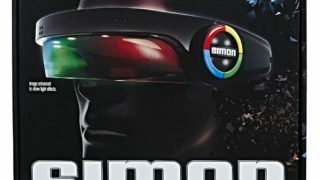 The Simon Optix game takes the Simon game to exciting heights. Put on the headset and get ready to watch, remember, repeat! 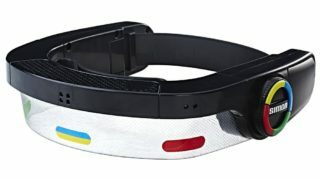 The innovative Simon Optix game is a wearable electronic game of lights and sounds in which players must repeat random sequences of lights by moving their hands in the correct order. The suspense builds as the sequence gets longer! 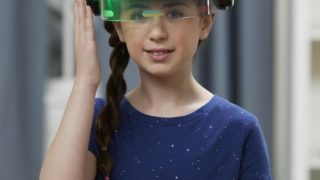 Play solo or with friends in Sync Mode (requires additional headsets, which are sold separately and are subject to availability). No matter which mode they play, kids can challenge themselves to beat their high score! This site is currently under maintenance. We appreciate your patience while we continue to make improvements!